Onstage: Radiant Vermin and Too Heavy for Your Pocket. 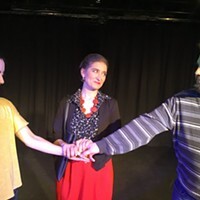 Philip Ridley's Radiant Vermin is a comedy about a newlywed couple discovering the dream home they've always wanted can be theirs if they're willing to do what it takes. What it takes is both awful and potentially in the service of some grander, even more awful agenda. Think Whose Line Is It Anyway? meets American Psycho (but British), all rolled up in a gloriously ham-fisted metaphor for a related set of familiar urban plagues. Storytelling techniques eliminate the need for sets and costumes. Shocking events are shared directly with the audience via light narration and flashbacks, with three actors taking on all roles. Things come to a head in a climactic garden party from hell, when neighbors who've all recently moved into the almost mysteriously trendy area converge. 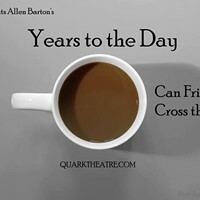 With its terrific cast leading the way, Quark Theatre's creative team plays every note in this darkly comic aria perfectly, delivering surprise laughter and even more surprising flashes of tenderness. Michelle Gregory, Lena Wallace Black, and Chase Ring make up the tightest ensemble in town. They pull off an energetic balancing act that threatens to soar too far over the top, but stays just grounded enough for the human stakes to matter. What's the worst thing you ever did for security? Comfort? Luxury? Did you even know you were doing it? And who are the real rats? These are some of the questions at the core Radiant Vermin, a show that gets in its audience's face a bit, while spoofing some contemporary British problems that sound awfully American. Radiant Vermin is a kind of Macbeth for moderns exploring creature comforts and how they help us manage guilt and other unpleasant feelings. It asks us who the real rats are. Radiant Vermin is at Theatre South through March 31st. I cannot recommend it enough. 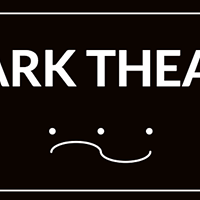 www.quarktheatre.com. There are a lot of plays about the civil rights movement in the mid-20th century. 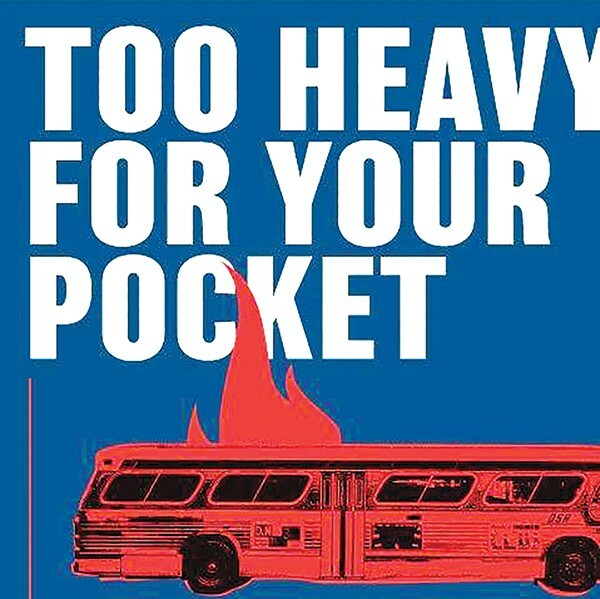 Too Heavy for Your Pocket may remind theater fans of things they've seen before, but any resemblance is purely superficial. Set a few bus stops outside of Nashville, in 1961, Jireh Breon Holder's disarmingly unpretentious drama follows the lives of two young African-American couples who are just starting out in life, and practically glowing with the promise of a hopeful future. Things aren't perfect. Day to day struggles include repossessed cars and infidelities. But these troubles are offset by opportunity, togetherness, and a genuine sense of hope. Were it not for the vintage threads and the occasional mention of Martin Luther King's oratory, it might be easy to believe that Too Heavy is set in the later 1960s or early 1970s, as the spirit of protest collapsed into politics. After attending Howard, in Nashville, young Bowzie — as close as this ensemble show gets to a protagonist — becomes aware that the relatively happy country life he's lived doesn't equate to justice. Against the caution of family and friends, he joins the Freedom Riders — the integrated activists who took buses into the most segregated parts of the deep South. That's when the friends begin to confront the meaning and real cost of a brighter future. With Patricia Clark directing, and an ensemble comprised of Marcus Allen, Rheannan Watson, Aaron Isaiah Walker, and Elizabeth Baines, Hattiloo's production is unfussy with a subtle painterly quality to the overall design — like the set and characters all slid off a Charles White canvas. Its power is derived from uncommon intimacy, and there's a lot of it bubbling just under the surface of this new old-fashioned play. 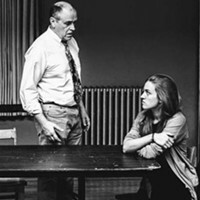 Quark Theatre Opens with Edgy Drama, Blackbird.